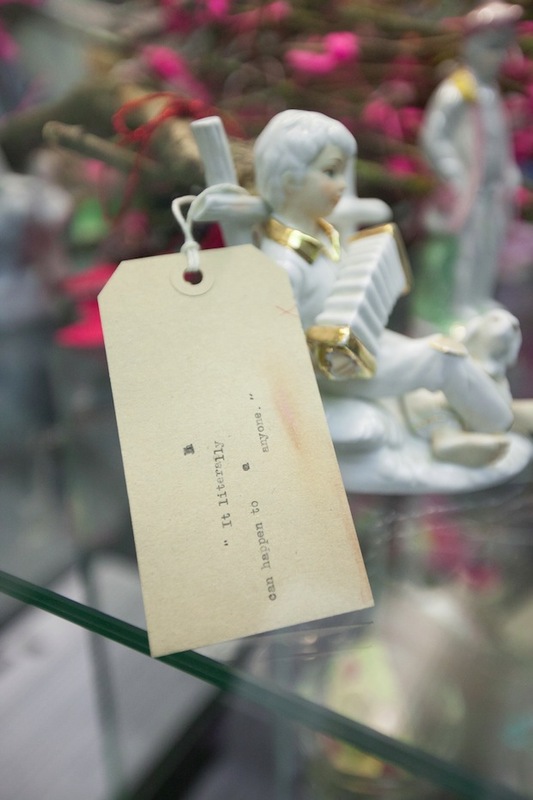 The Lost Room was a project curated by FrancisKnight Public Art Consultancy. Mark C. Hewitt (working with words) and artist Nicola Flower (working with personal objects, textiles, embroidery and drawing) interacted over three months with service-users of Porchlight homelessness charity in Canterbury, leading to an installation at The Beaney House of Art & Knowledge. Mark’s contribution to the project included a blog, creative writing workshops and a series of interviews that became the basis for text interventions on luggage labels as part of the installation as well as creating an inside narrative for the project. Mark also gave support to the team of homeless people creating the MyStreets alternative tour of Canterbury, which aims to give a view of the city from a homeless person's perspective as well as raising awareness of the homelessness that exists amongst the heritage and grandeur.